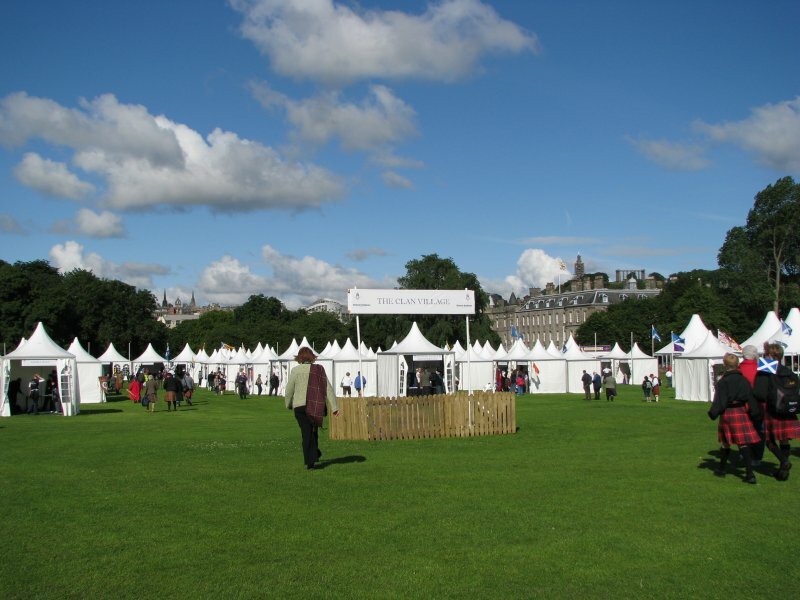 Tents in the Clan Village were arranged (somewhat) in alphabetical order. 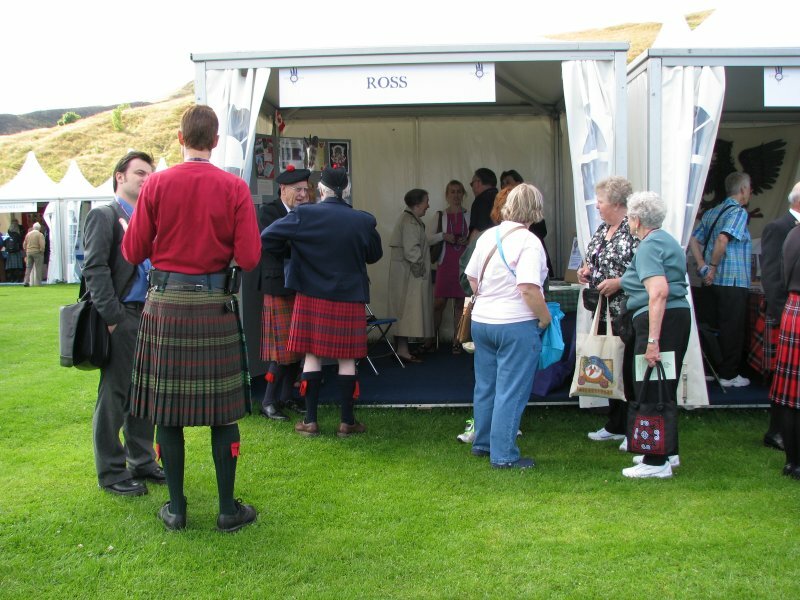 After entering the park, one ventured forth diagonally to the far corner in the first photo in order to reach the Clan Ross tent, which was a co-operative measure approved by the Clan Ross Associations of the USA and Canada. 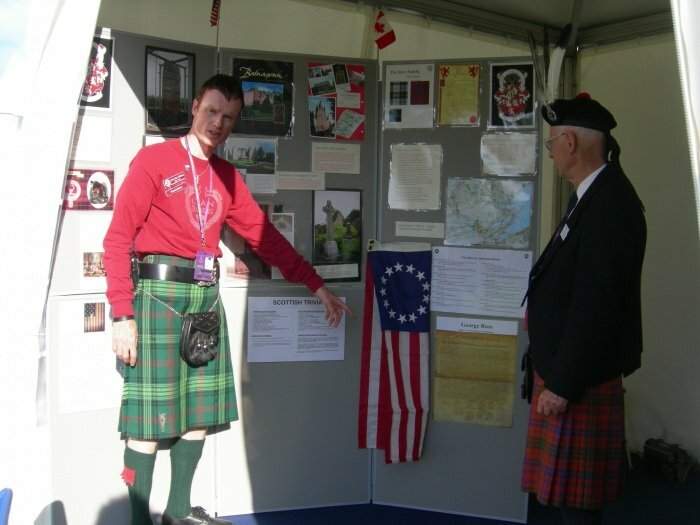 Much of credit for the historic displays inside the tent go to President Andrew Ross Thibodeau, who noted that over 100 lines in our guest book were filled with the names of individuals from Australia, New Zealand, Canada, America, Europe and all over the UK. Hundreds of brochures had been prepared but, before the end of the day, Andy was amazed that the entire pile had disappeared. All of us thank you for visiting the tent. 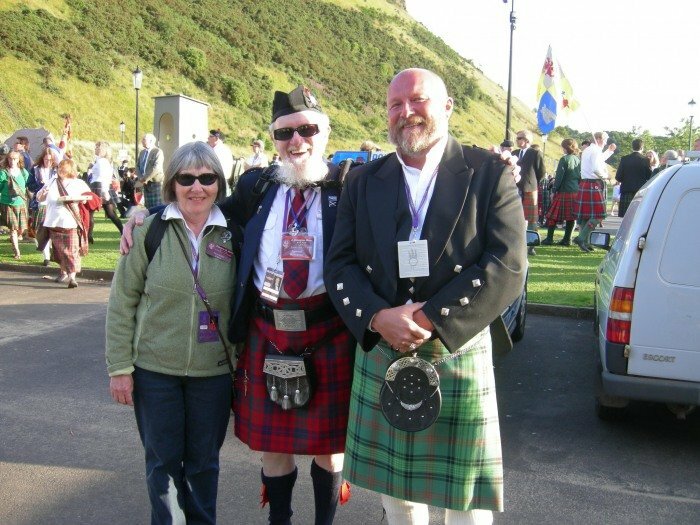 Thanks to the efforts of President Charles Ross of the Clan Ross Association of the USA and his members, we were able to join in celebration of this historic gathering. Later in the day, we joined together in the march up the Royal Mile. 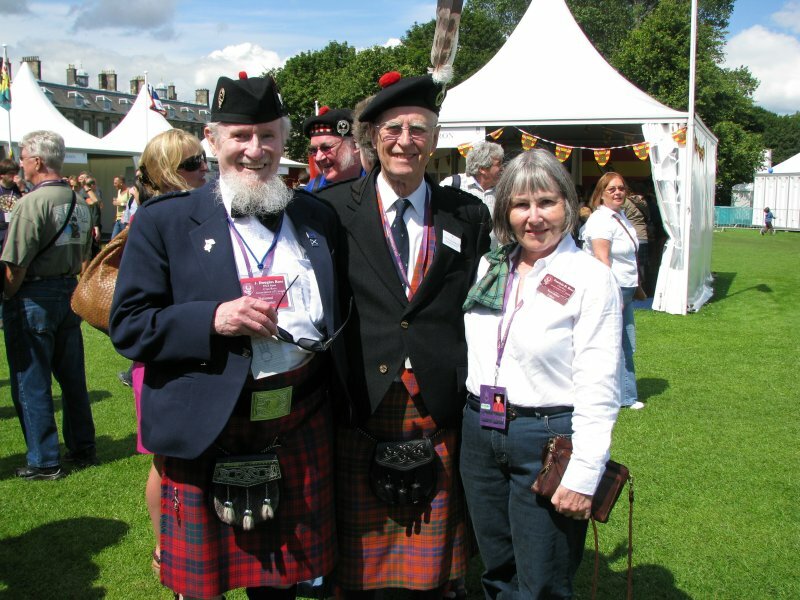 That and the presentation at the Edinburgh Castle esplanade will remain in our memories. 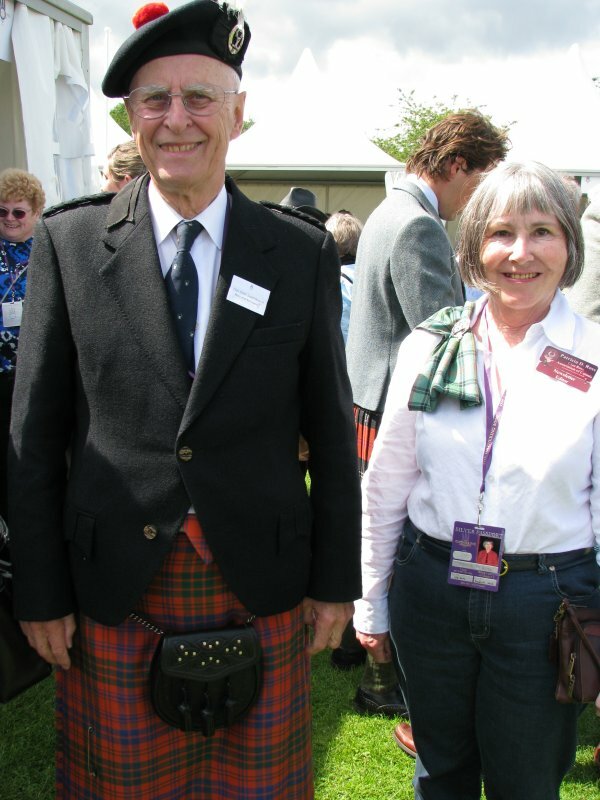 During the weekend, I visited all of the Clan Tents, and I make the personal observation that no other clan tent was better represented by the Clan Chief and his Lady. 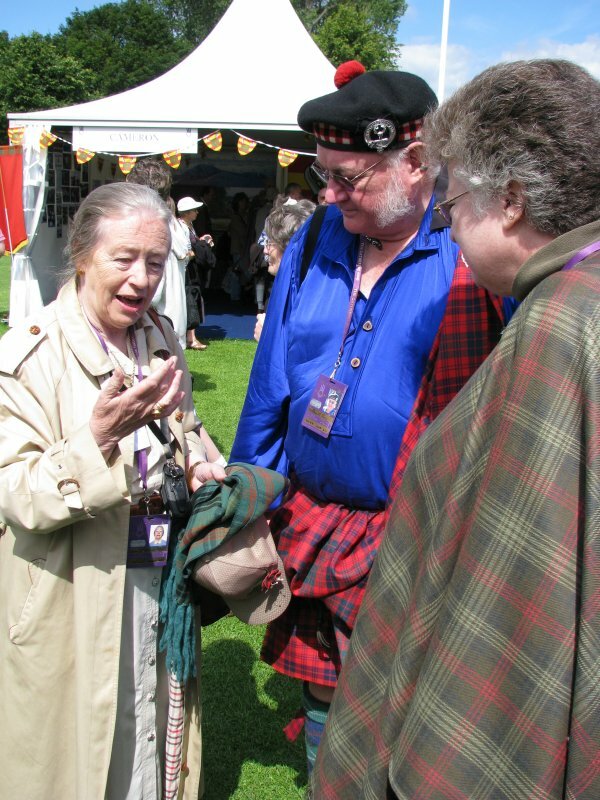 Lady Eileen Ross was an immediate hit with my wife, when she helped to pin her sash when we arrived. I presented Lady Eileen with an Ontario trillium pin to commemorate our special AGM in 2010. 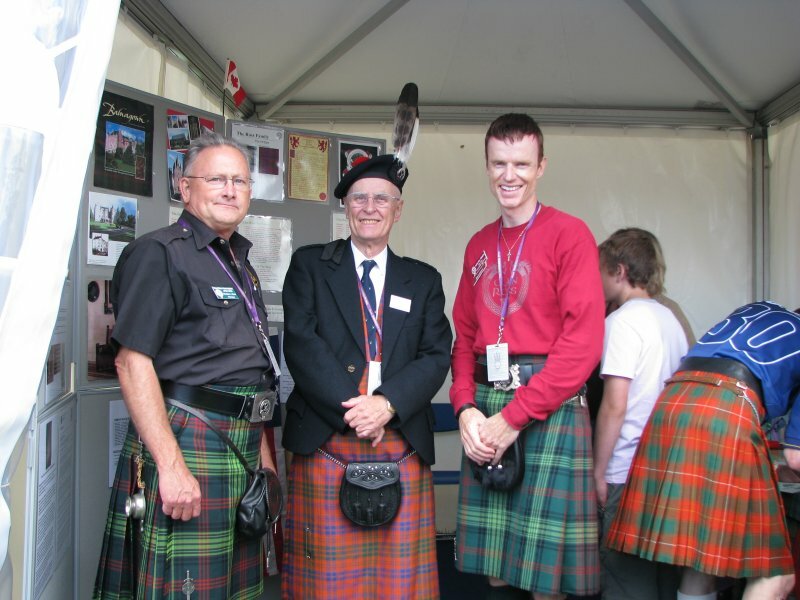 Chief David agreed to pose for pictures with the communications officers for Clan Ross Canada . 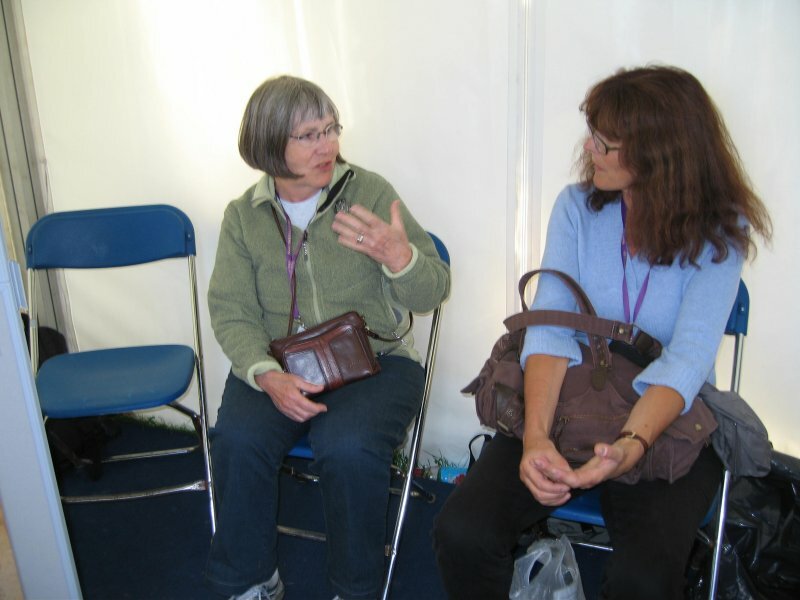 . . . .
Pat and I were delighted when Estelle Quick dropped into the tent. 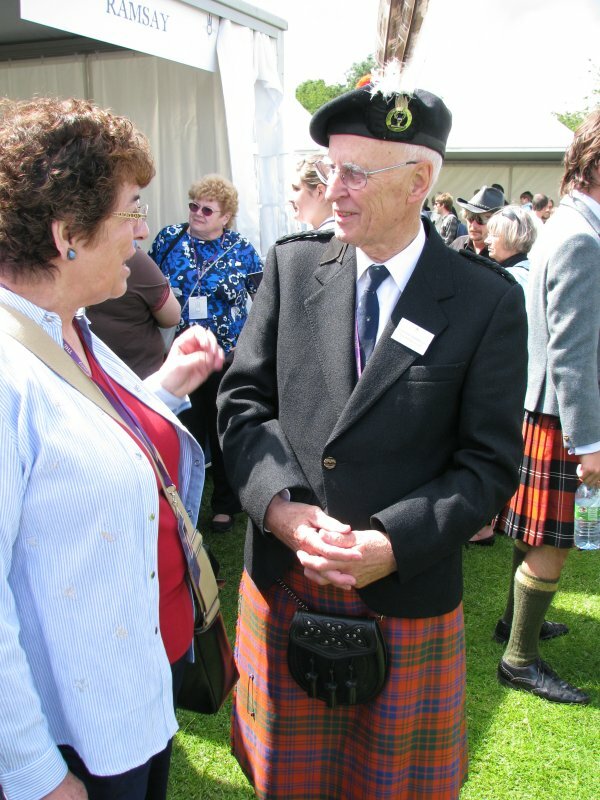 We recalled our communications about a silver quaich in our Ross Family Story which took place nine years ago when she was a curator at the Tain Museum; see http://www.ross-ter.com/Tales/OurPioneers/tain.html. This led to a discussion about my most recent contribution of a tale about an ancestor, who was a patriot on the side of Bonnie Prince Charlie in 1746. 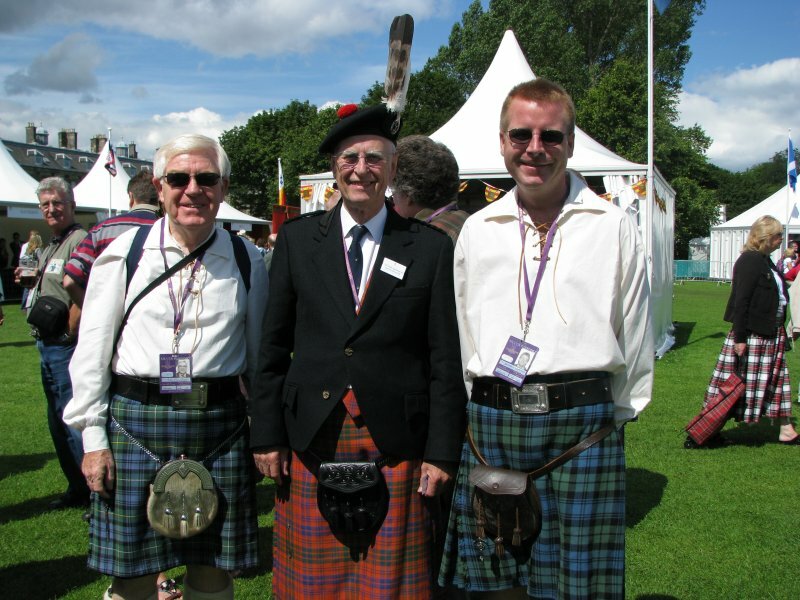 Our Clan Ross Association agrees with Chief David, that the best way to back Clan Ross in Scotland is to give full support to The Tain Museum which is home to Tain Through Time collections . 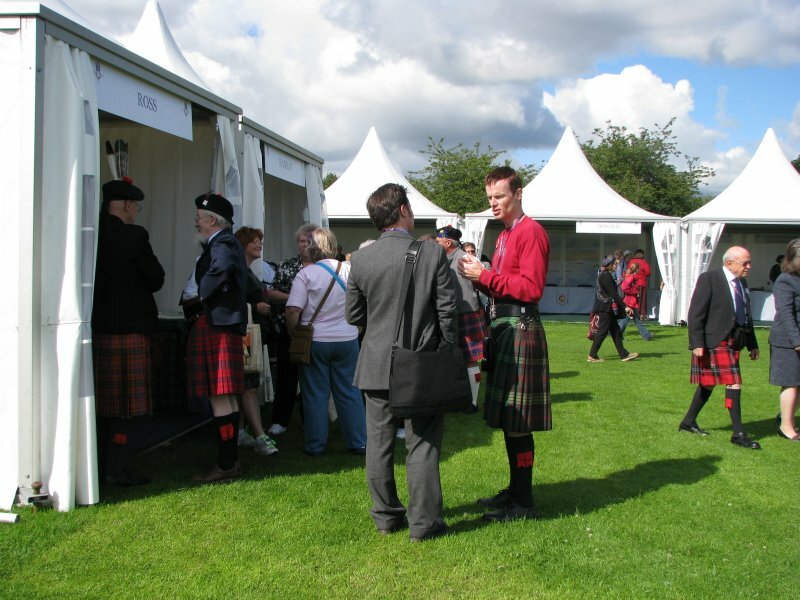 . . . . and is also a source for historic materials on Clan Ross.